Townshend Brewery is fairly unique as far as breweries go. 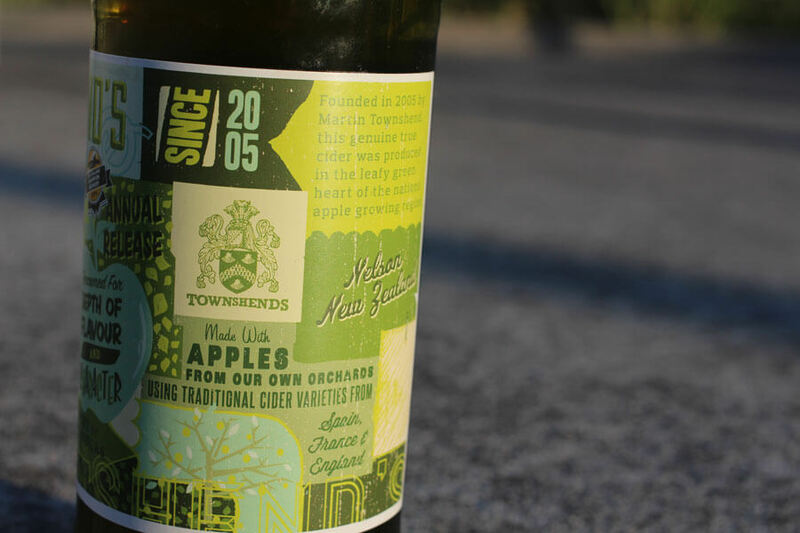 While beer is their main focus, Townshend Brewery also make 2 ciders, all from apples in their own orchard. All traditional cider apple varieties from Europe. All go into the Sitbee Cider. Townshend’s Brewery is based at the top end of New Zealand’s South Island in the town of Nelson. The brewery has a small orchard with only 160ish trees. But what it lacks in quantity it makes up for in variety. While most of the orchard is made up of the more well known British names like Kingston Blacks, Yallington Mill and Dabinetts, there some are French and Spanish varieties. All in all, there are over 25 types of apples. Nelson’s climate is warmer and drier than the regions of Europe where most of these apples were developed. It’s also one of the driest regions in the land of the long white cloud. Townshend’s Brewery doesn’t irrigate the orchard. This means the yield in terms of number or apples and size of the apples is below average. On the plus side the water content is lower in each piece of fruit but this should mean the flavour has been intensified. The warmer conditions mean the apples are often harvested earlier than what would be considered normal. The wide range of varieties means a wide range of ripening times. Given that this is a small orchard all the apples are harvested in one hit, meaning some might be a little riper than others, but they are all picked before they fall off. The goal is for the Sitbee Cider to create a Devonshire style cider. While many of the apples suit that style, will the climate and French and Spanish hinder their efforts? I can smell the Dabenetts before I lifted the pint of this dark golden cider. Underneath the Dabs is a big heavy layer of brown sugar like a generous apple crumble. Yep Townshend has nailed a British style cider. It’s so thick and jammy, it holds its head almost as well as a stout. There is an interesting balance here between the tannins and the sweetness. On one hand its drying your mouth out, while the other it’s coating everything in a long lingering finish. There are spicy elements and earthy elements. There’s a lot going on. Ask any chef and they will tell you less is more. Have a few ingredients and let them shine. Ask Colonel Sanders the same question and he will tell you that’s rubbish. Like a traditional farm-house cider Townshend has used every apple type the orchard can grow, everything in the bottle came off the 2014 harvest. It’s thickness should suitably prepare your mouth for some spice. The richness is bold and wants to be matched with other bold flavours A couple of tacos and a few bottles of Sitbee would be a pretty decent way to start the night. Thanks for sharing! In the U.S. we’re also seeing breweries get into the cider business, both large (such as Angry Orchard, by Boston Brewing Company) and small (a cider by Hopworks Urban Brewery in Oregon).